CBS regularly organizes events in connection to art with cooperation partners, which are open to the broader public. Cynthia Odier directs Geneva and Athens-based Flux Laboratory, which will present dance performance TransWarhol 3.0 at the Vernissage of the Warhol show where you will discover an entirely new side of the legendary Andy Warhol. Flux Laboratory supports the contemporary dance scene through experimental projects and productions bridging arts and business. How can contemporary dance and art energize entrepreneurial action? 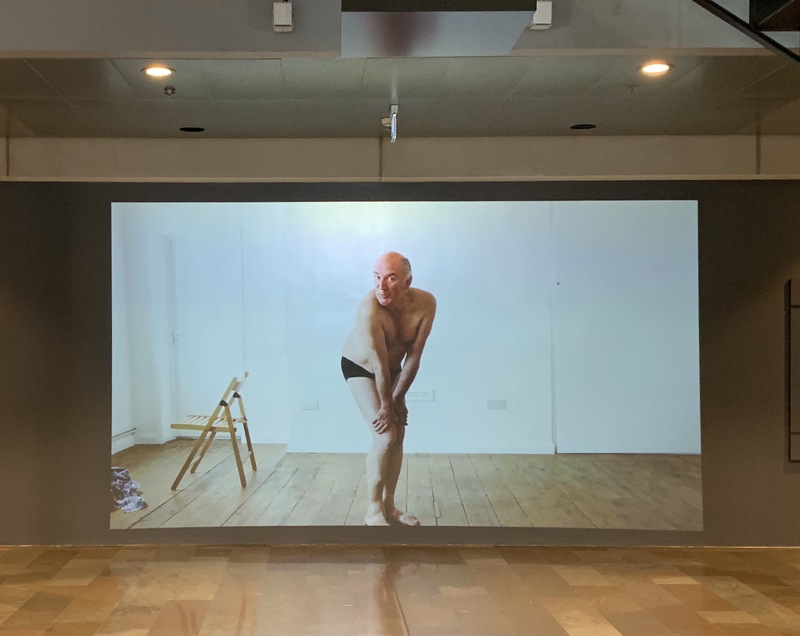 From February, 28th CBS will show one of the ten short-listed videos of the Fokus video art festival at CBS' Digital Arts Screen (Solbjerg Plads 3, 2000 Frederiksberg). For most of us technology has become a natural and constant part of our everyday lives. With his video Bird on a Shoulder, Mads Lynnerup compares our dependency on technology with the dependency that pet parrots may feel towards their owners. 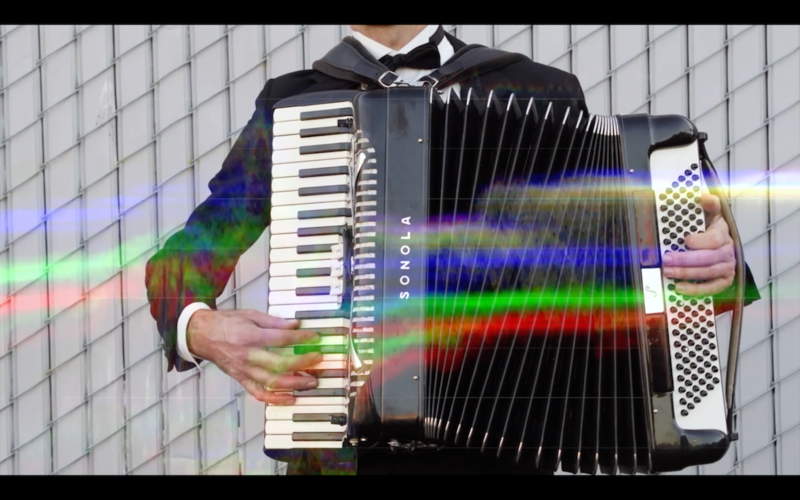 In the film we see a drone moving freely through San Francisco, while a street musician plays colourful notes on his harmonica. Somewhere else in the city, a woman picks up books from the neighbourhood book exchange station. A woman talks about the territorial feelings of the parrot and how it bonds with its owner. The harmonic contrasts and metaphors of the film evoke the watchfulness, surveillance and dependency that technology has created. You are welcome to pass by CBS’ Digital Arts Screen to watch the video. FOKUS video art festival is an annual international festival for video art hosted by Nikolaj Kunsthal from February 28 – March 31. This year it is the 9th edition of FOKUS video art festival. A jury of professionals from the worlds of visual art and film has selected the ten works. The 2019 jury consists of: Simon Starling, artist, Rasmus Brendstrup, programme editor at The Cinematheque, Helene Nyborg Bay, the artistic director at Nikolaj Kunsthal and Maja Krebs Sørensen, Production and event co-ordinator at Nikolaj Kunsthal. Shortlisted videos will compete for the FOKUS First Prize of €1000, The Jury Special Mention and The Audience Award of €500 each. The jury will announce the winners at the FOKUS Award Show the 28th of March, taking place at The Theatre Museum at The Court Theatre. The ten nominated works can be seen at Nikolaj Kunsthal and at various institutions within the Copenhagen Cultural District. The videos will be shown at: Thorvaldsens Museum, CBS, BLOX, The Theatre Museum at The Court Theatre, The Danish National Archives, The Danish War Museum, The Danish Jewish Museum and STORM20. This is a unique chance to experience the artist talk about what went into this thought-provoking piece titled "Test Shooting". Location: In front of CBS Digital Art Space, Solbjerg Plads 3, 2000 Frederiksberg. With the #MeToo-movement and recent years focus on the interaction between the sexes, Maria Kapajeva's video "Test Shooting" is very relevant, as it tests the absurdities of the stereotypical presentation of female attractiveness. We see an older man who partly undresses posed as a model at a photo shoot. 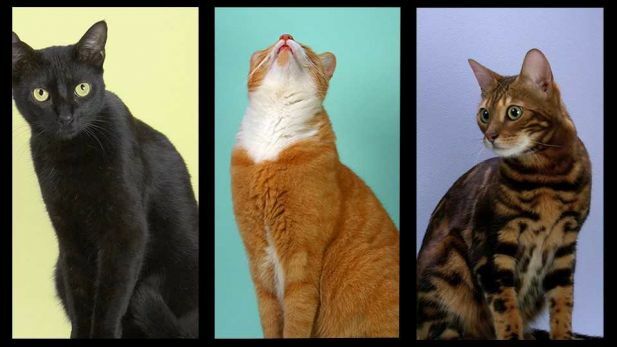 He is asked to strike various poses according to the instructions given by the artist from her position behind the camera. These instructions have been found on websites where Russian women who are looking for a Weestern husband are told how best to present themselves. Kapajeva's video has been recorded without prior rehearsal and is characterized by an unedited immediacy between director and model. Maria Kapajeva is an Estonian artist, who lives and works in London. Last year, "Test Shooting" won the Runner Up Award at FOKUS Video Art Festival. tirsdag, den 21. august 2018, kl. 17:00. CBS ønsker at integrere kunst i både undervisning, forskning og læringsmiljø. Michael Kviums skulptur, der er udarbejdet i sortbrun-patineret bronze, er installeret på en af søjlerne i atriummet i CBS’ bygning Kilen. Med denne fremtrædende placering i det smukke fællesrum, kan skulpturen opleves af alle, der kommer ind i bygningen. Skulpturen har titlen ’Social Pattern’ og forestiller et system af sammenhængende kropslige figurer, der starter øverst på betonsøjlen og bevæger sig ned ad og rundt om den forbundet i et tarmlignende system. For Kvium er skulpturen en indirekte spejling af vores ideer om os selv og vores dybt forankrede behov for en opdeling i ”dem” og ”os”. Indvielsen finder sted på CBS’ bygning KILEN, Kilevej 14A, Atrium, 2000 Frederiksberg. Etableringen af Michael Kviums skulptur er realiseret med støtte fra Frederiksberg Fonden i anledning af CBS’ 100 års jubilæum i 2017. Tuesday the 6th of February at 3.30 pm in Ovnhallen, Porcelænshaven 20. In December 2017, CBS purchased four pieces of artwork of the danish photographer Jan Grarup. The four images depict the world’s chaos and war, but at the same time they show a little sign of hope and the urge of man to survive in the midst of all the chaos. Jan Grarup (DK, b.1968) has over the course of his twentyfive-year career photographed many of recent history’s defining human rights and conflict issues. Grarup’s work reflects his belief in photojournalism’s role as an instrument of witness and memory to incite change, and the necessity of telling the stories of people who are rendered powerless to tell their own. Selfmachine (pattern in resistance) by Mette Clausen (DK). As part of the exhibition About Work at Danske Grafikeres Hus the work will be installed in a new setting - the canteen at Copenhagen Business School - Rotunden, ground floor. 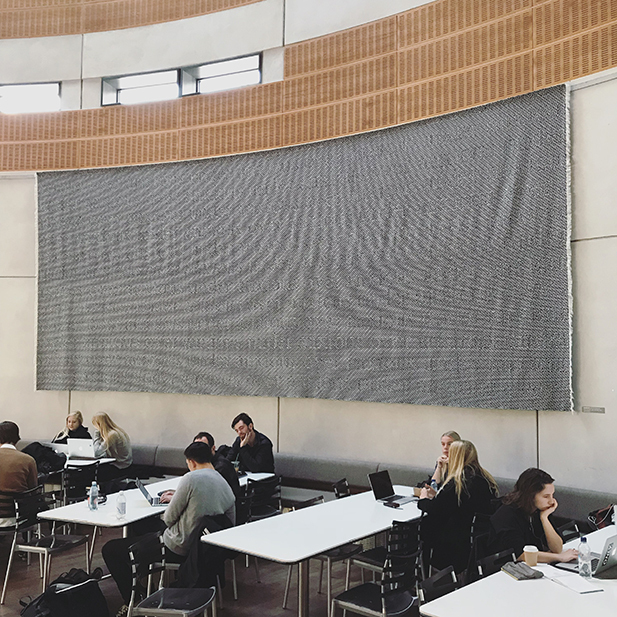 The artwork can be seen within CBS' opening hours at Solbjerg Plads.